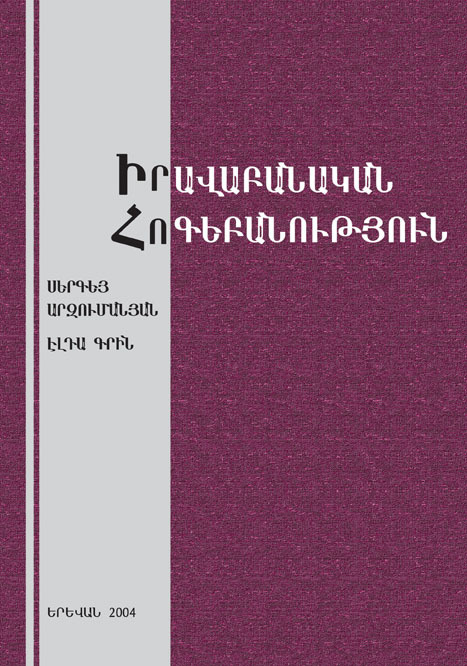 The present fundamental work by Sergey Arzumanyan and Elda Grin is the first university textbook containing materials on general, social and juridical psychology. The textbook discusses theoretical-methodological principles of juridical psychology, the psychological problems of social pathology, criminal action, forensic examination, advocatory, penitential activities. The book is intended for students, research students, lecturers of judicial and psychological faculties of higher educational institutions, as well as for employees of law enforcement bodies.